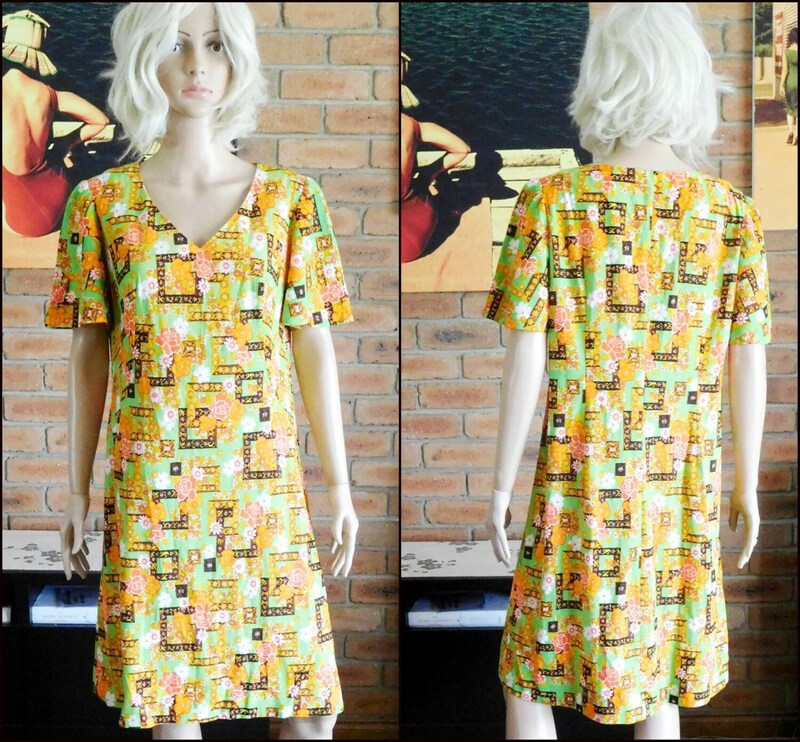 Vintage 1960s crimpelene knee length short sleeved a-line dress, no zip, easy pull-over style, in size 14. Beautifully made and designed; the label has been removed so we are uncertain of the designer’s name. The gloriously retro pattern of this pretty piece would not look out of place at all today! In outstanding vintage condition.